when it comes to loading material. 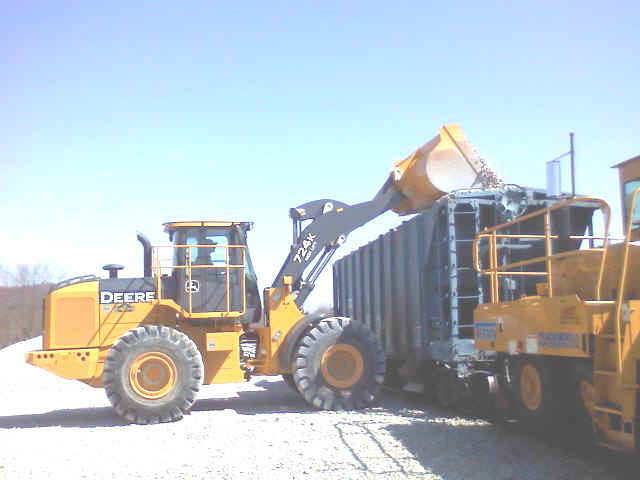 machinery that is easy to run and easy on the operator. comparing a Volkswagen to a Cadillac. and the machine starts even in very cold weather. machine, simply push the stop key. depending upon the options purchased. 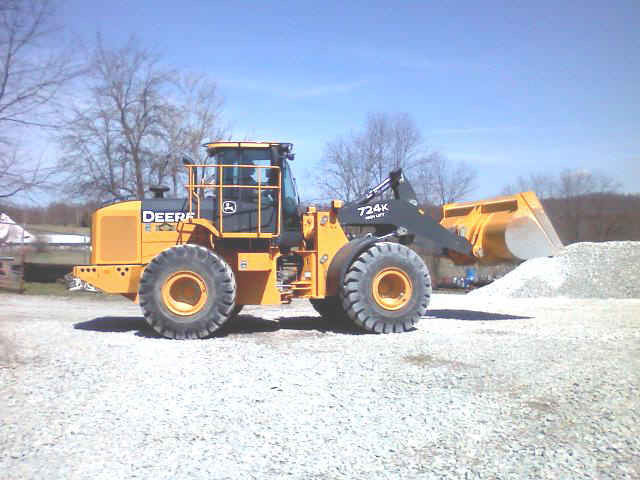 The John Deere 724K Loader has 4 forward speeds and 3 reverse. 4th at 22 mph. Reverse in 1st is 4.9 mph, 2nd at 8, 3rd at 15.5. These speeds are with the standard 23.5 - 25 tires. and 28 ft 2 inches long. The bucket is a 2.75 yard bucket. a bore and stroke of 4.66 x 5.35 inch.